One of the world’s most liveable cities, Perth is the capital of the Australian state of Western Australia. Whether you come to Perth on a business journey or a leisure trip, you’ll find it a great place to unwind. As well as its many excellent bars, restaurants and retail facilities, Perth has numerous parks, museums and heritage buildings. Mercure hotels in and around Perth offer easy access both to city centre attractions and to the wineries of the Swan Valley. Planning a business trip, a relaxation break, a food and wine tasting holiday or a golf trip? 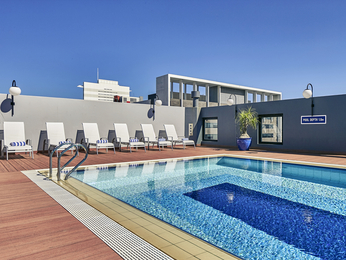 Choose from 2 Mercure hotels in and around Perth with the best prices guaranteed.